08/17/13 – STIMULATE Invades DEFCON: Summer Industrial Soundclash! STIMULATE Invades DEFCON: Summer Industrial Soundclash! Industrial • EBM • Synth • Noise + more! 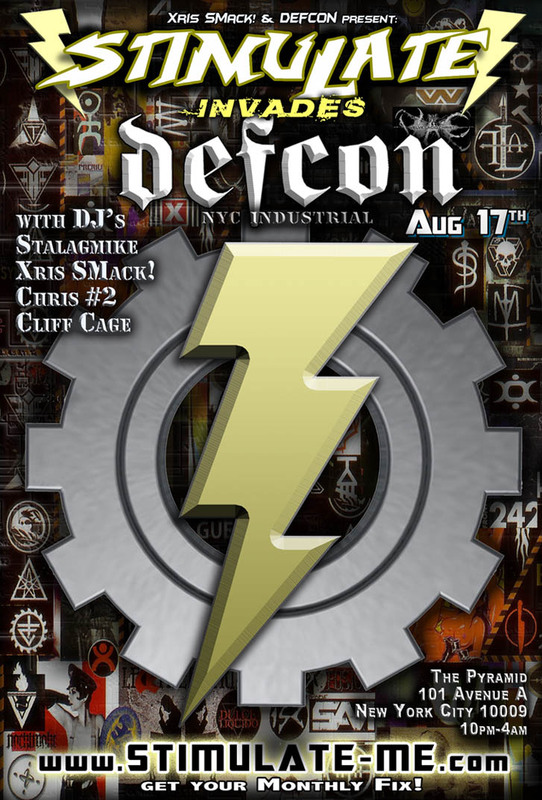 :DEFCON, DJ Chris #2, DJ Cliff Cage, DJ Krieg, DJ Stalagmike, EBM, Industrial, Nois, STIMULATE, Xris SMack!